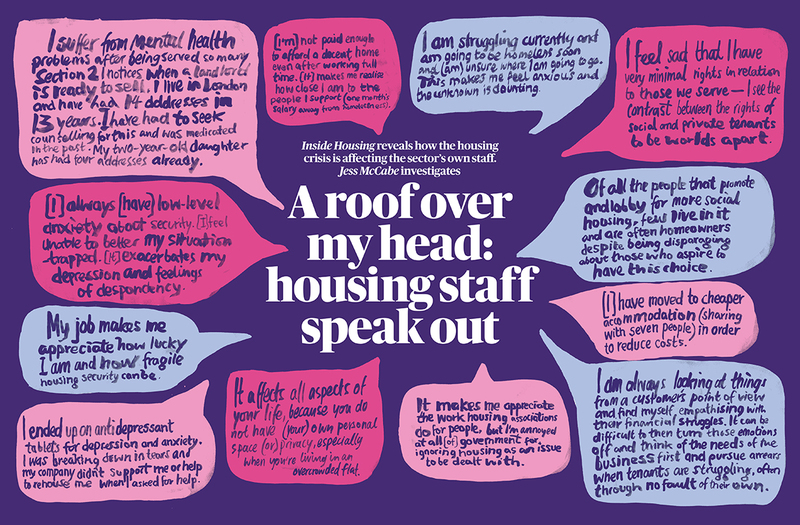 Inside Housing commissioned Nick Chaffe to illustrate their recent article on how the housing crisis is affecting the sector’s own staff. Nick illustrated a collection of quotes from people who work in the industry, his hand drawn typography really brought the voices of the article to life. To see Nick’s portfolio, click here. Nick Chaffe is represented by Meiklejohn. Published on 7 December 2017.